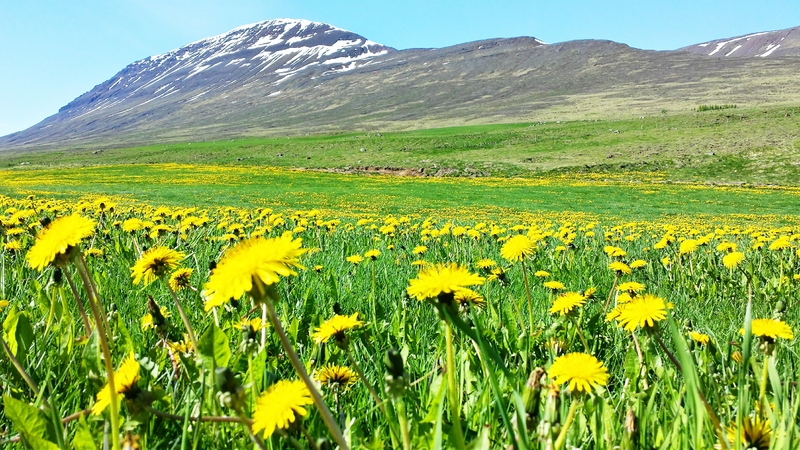 Yes I did discourage a quick visit to Iceland, but if you must, there’s still plenty sightseeing you can do with a quick 3-day visit. 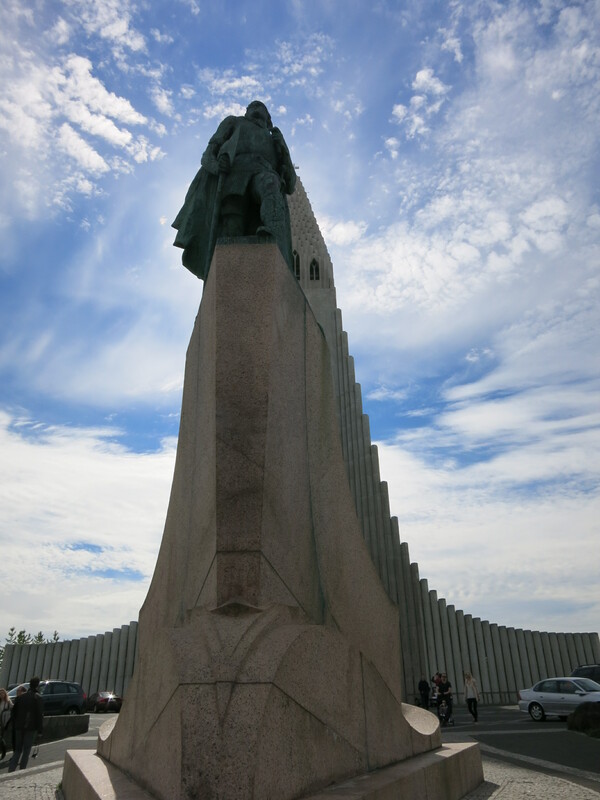 Start off with Reykjavik – a visit to the harbor, or a quick stroll around the city. 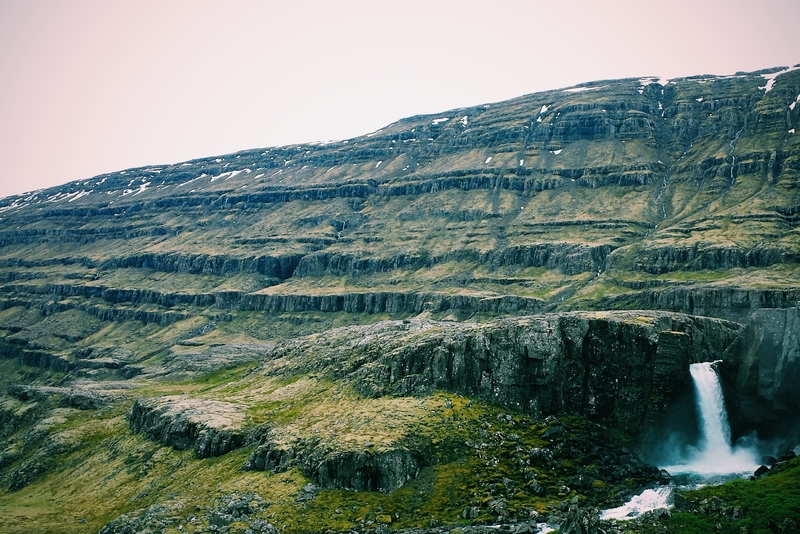 Reykjavik city is cute as a button – its compact center is easily navigable in an hour so you can fit in city sightseeing in between the lulls of waiting for your tour to take you to some awesome place. To see some of the city sights, set out an hour each to explore the city landmarks – the church, Hallgrimskirkja and the concert hall, Harpa. 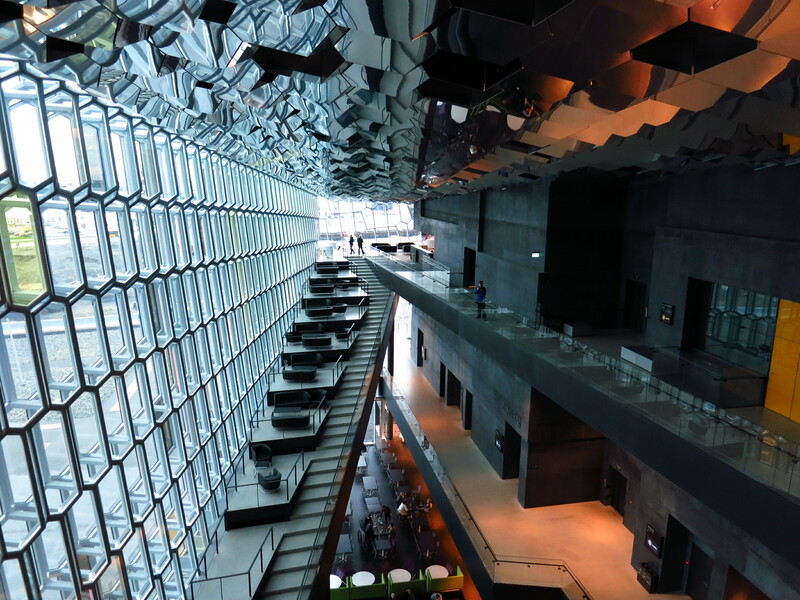 Both sights pay homage to the country’s geographic identity – basalt columns inside and outside the halls, and Harpa uses dark granite and a play on the glass panels as a tip of the hat to their much famous northern lights. A smart play on light and glass – the seemingly random pattern of colours mimic the Aurora Borealis, while the shape is a nod to the hexagonal basalt columns commonly found in Iceland. The other famous landmark in Iceland is the Blue Lagoon. It was nice soaking it up in a warm pool filled with geothermal plant water discharge – but I really thought it was a tourist trap, sorry. For 40 EUR, and a whole hour to get there, I found visiting the Blue Lagoon was something I could have passed up on, especially having tried thermal baths in Hungary, Japan, and Korea. Throw in their luxuriously-priced gift shop of cosmetics, then well, let’s just say I warned you. There are plenty of other pools around Iceland which might be more worth your kronas (more on this in the succeeding posts). You can take a bus tour to get to the sights, or you can rent a car. We went for the latter – as there were three of us, and the economics and flexibility made more sense. You can’t possibly miss The Golden Circle, but we did the linear version of it: Thingvellir-Gulfoss-Geysir, then back to Reykjavik. This will easily take you a day. 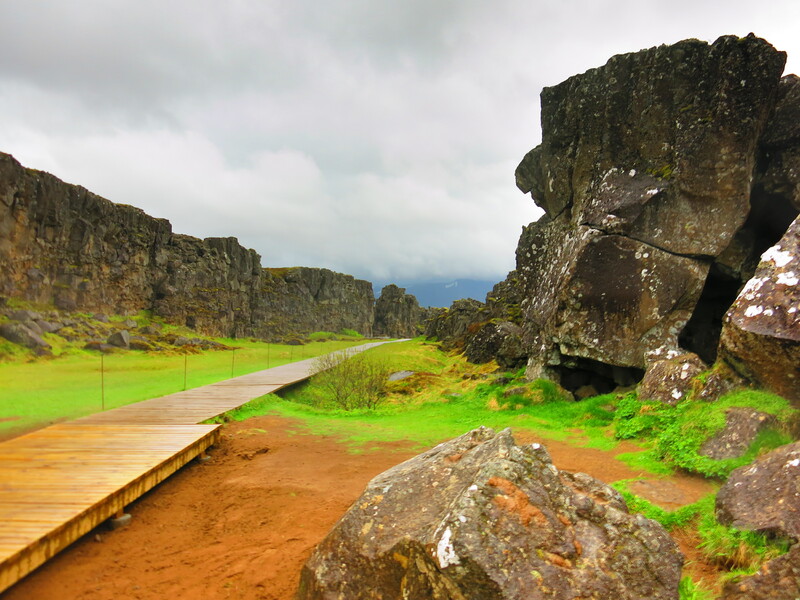 Thingvellir – This is where the tectonic plates separate, creating a valley filled with fissures, cliffs, and even a lake where you can snorkel and dive. You can enjoy the view of this sprawling place from the observation platform, but you can also hike to the drowning pool and waterfalls behind it. There is a 2km trek to the Skorgarkot, in the middle of the plain where a former farm (marked by stones) can be found. I recommend you take the hike and have a good wander on the area. Where two plates divide, a beautiful landscape appears. We did Thingvellir in two days, as our day was filled with nasty weather. We did the waterfalls and plains on one day, and the Skorgarkot trek in another afternoon. When we decided that the rain wouldn’t ease up, we decided to drive all the way to Gulfoss instead. 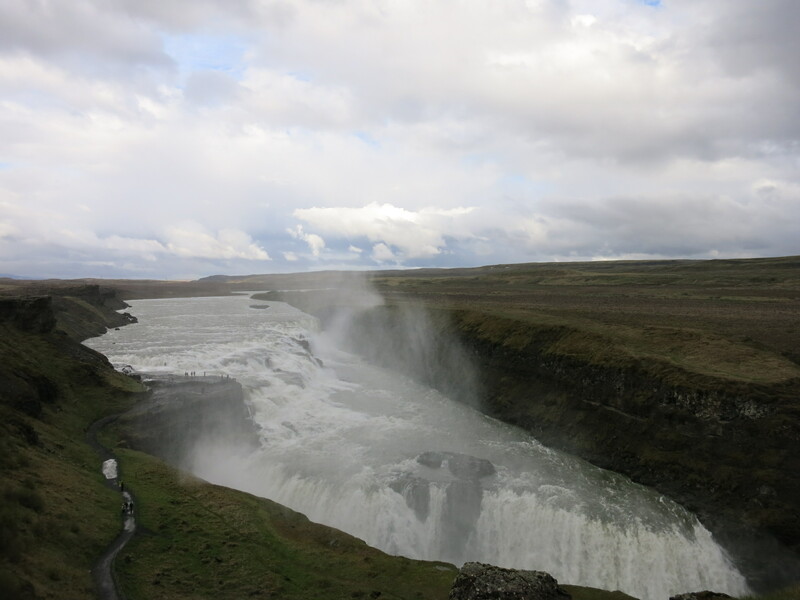 Gulfoss – It’s a two-level waterfall where a power plant was proposed. Search for the marker and face of the lady that fought against the power plant, and helped preserve the falls. Mighty does not even begin to describe it. Geysir – On the way back to Reykjavik, we stopped by Geysir, a plain of spouting hot springs you can easily see from a distance. If you’re not easily offended by the H2S smell, then it’s a good stroll along the grounds. One of the geysers spray up every 10 minutes or so. This one ‘erupts’ every 10 minutes or so. Stand back, it gets pretty steamy. Here’s something you may not see on the guidebooks: On the road back to Thingvellir from Geysir, you will find a viewpoint (marked on the road) that will showcase Thingvellir lake and some mountains. There’s a little ledge that you can go down and see this: a massive fissure covered in moss. It was a nice find after a long and tiring day. You need to go a little bit further than the marked view point (and picnic tables), but the view is so much worth it. Inside a volcano has got to be one of those really unique experiences. 2. You can make a looong day to visit the glacier lagoon in Jokulsarlon. 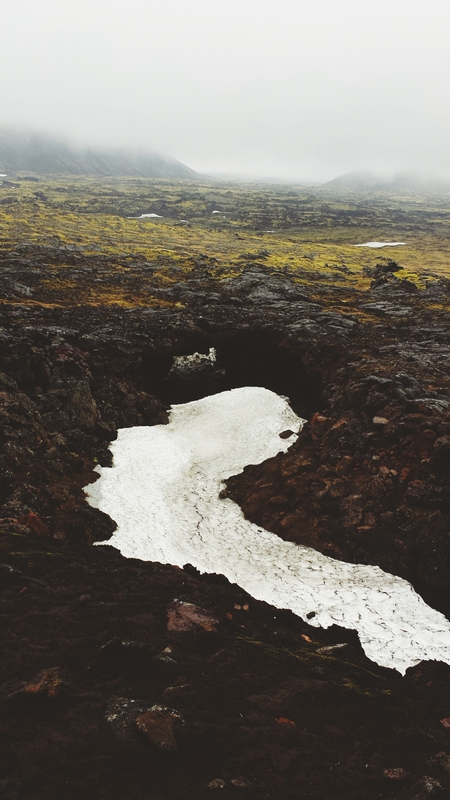 On the way you will see more waterfalls, lava fields, enormous glaciers and of course a river filled with ice. If you have energy, the tour starts at 7 in the morning, then ends around midnight. For obvious reasons, I passed on this one, and broke up that trip into a more leisurely pace. More on this one later. Don’t miss out on Reykjavik’s night life – it’s interesting to see a city of 200,000 go around town. Everybody knows everybody (heck they might be cousins! ), and the pubs are small and cozy. We went in the summer so it was generally still light at 12 midnight, and the sun never sets. Imagine pub-hopping in the bright midnight sun! Added bonus: Reykjavikers have a very distinct sense of style; they put a leg up on the words hipster. It’s quite isolated, hard to get to from most places, and it’s pretty expensive. But if you do – it’s a reward; I keep saying it: It’s the best country I’ve visited so far. I usually reserve my judgement for a few weeks before I hand out a verdict like that, but this one won in me in the first three days. Just to counter what I initially said, Iceland has direct flights from North America and Western Europe, with national carrier Icelandair and budget airline Wow that opens up additional flights during the summer (May-Sep). Expensive? Not crazily so. At par with many Scandanavian countries, maybe a tad lower if you’re not booze-centric, and most of their attraction are natural wonders, which are free. 1) Don’t just spend 5 days in the country; you’ve (probably) come a long way to get here, so make the most out of it. There is plenty of nature to be enjoyed across all points of the island. Do explore the far eastern reaches of the island. 2) Don’t limit yourself to the city accommodations; there are cute little cottages scattered everywhere. The prices do not vary wildly, so take a chance on the cozy cabin by the lake, or the homey guesthouse on a cliff overlooking seals. There are plenty of camping options everywhere too. Your cabin. Sheep, glaciers, and the rest of nature included. 3) Don’t come unprepared clothing-wise – the weather changes quite frequently and be prepared to deal with ice, rain, wind, and sun. 4) Don’t expect ice and snow all the time – yes, the weather may be variable, but it not all snow and glacier despite what the name (and Game of Thrones) tells you. A friend observed: there’s a lot more ice in Greenland, and a lot more green in Iceland. 5) Don’t worry about wifi – the country is very connected. I even got wifi (not 3G!) at the crater of a volcano, beside geysers, and in fjords. But having said that, do you really want to be immersed in your little gadget when you’ve got a beautiful country all around you? On the next blog post – a little bit more on itinerary help, and what to see. In the meantime, more pictures! Plenty of trekking to be done. Here’s a “do” : Brush up on geology to appreciate how these land forms were made! I don’t have the energy to write a full blog post, so in the mean time, I will put together a sampling of the photos I took during my stay in the country. It’s not a pocket trip, but a full-on vacation. Don’t worry, I’ll write something up – but suffice to say, it was the best country I have visited. 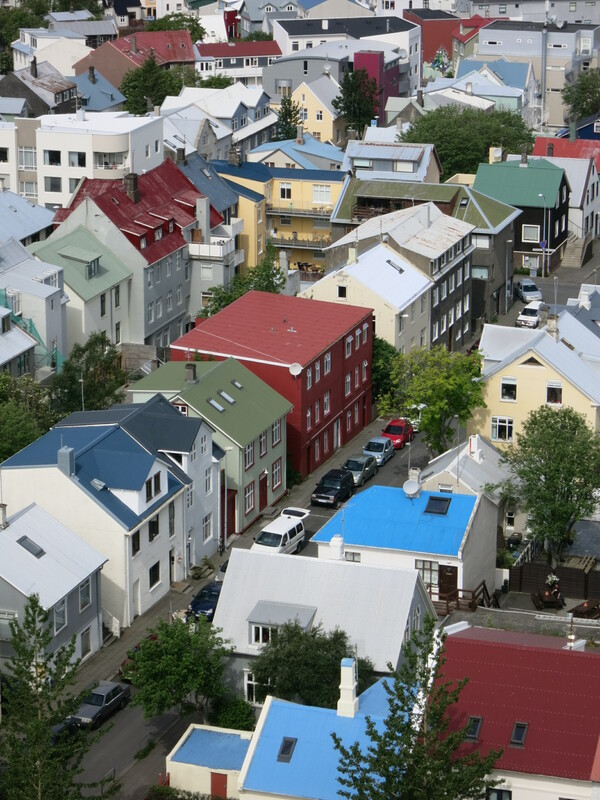 Reykjavik houses. Cute as a button. Walking between two diverging plates. Inside Harpa – a music hall incorporating influences from the Icelandic landscape. Inside a volcano. 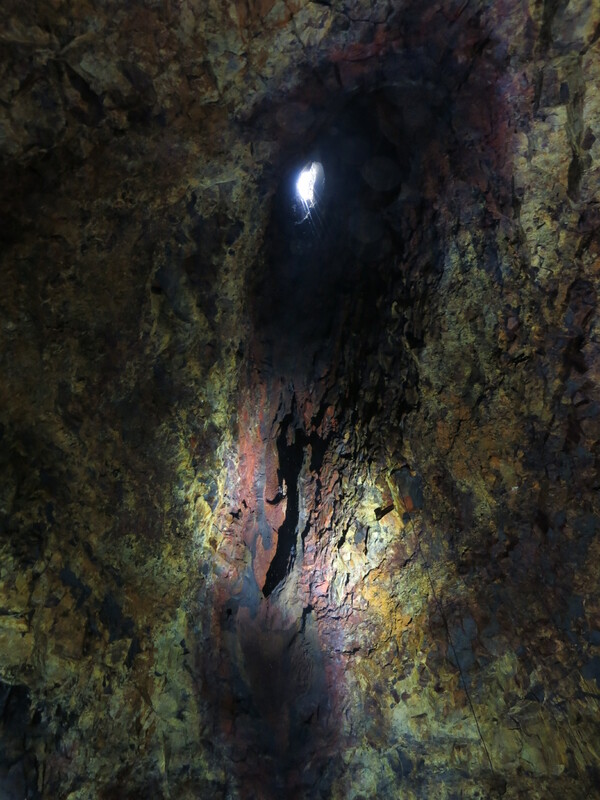 One of the very few places on earth where you can enter the magma chamber. Reykjavik – in Leifur Eiriksson in front of the landmark church.